This transitional vanity set belongs to the exquisite Elite design series. It features a rectangle shape. This vanity set is designed to be installed as a floor mount vanity set. It is constructed with birch wood-veneer. 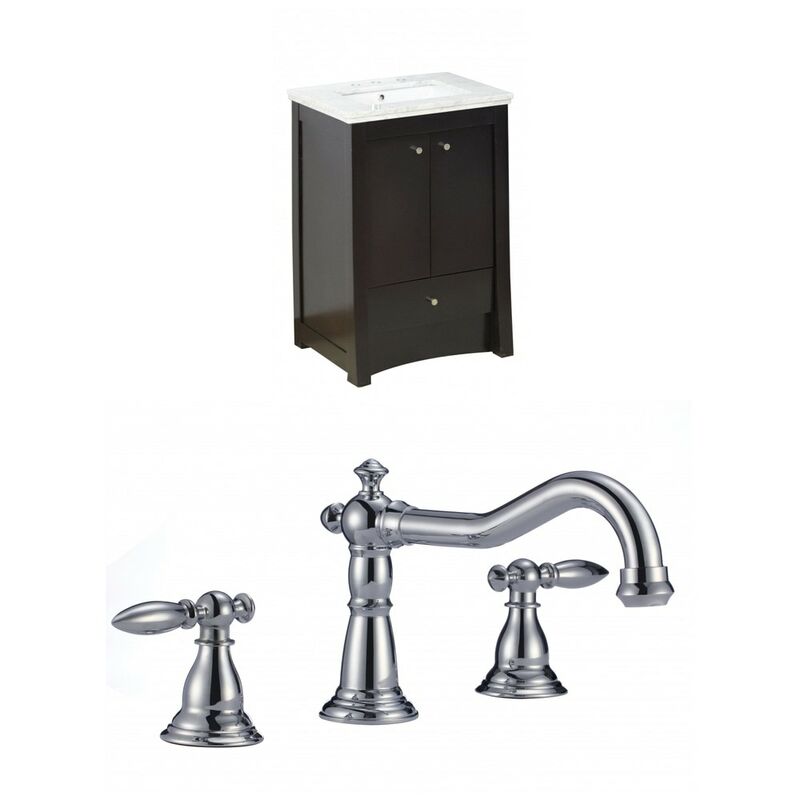 This vanity set comes with a lacquer-paint finish in Distressed Antique Walnut color. It is designed for a 8-in. o.c. faucet.